Keeping the transmission system in excellent condition improves the gas mileage and overall performance of your vehicle. 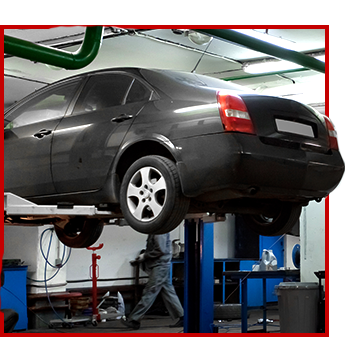 The technicians at Rockville Auto & Truck Service specialize in everything from minor clutch repair for manual shift vehicles to complete rebuilds for automatic transmission systems. We are the go-to source for transmission repair in Rockville, MD, and the surrounding areas. Never wait to address transmission issues with your vehicle. If you do, you put your entire transmission system at risk. Visit our transmission repair shop as soon as you suspect there is a problem. We quickly determine the problem with your transmission and provide the best solution. As a full-service auto repair shop, we are able to provide any type of transmission work you need. Routine maintenance and preventative services are cost-effective options to keep your transmission running like the well-oiled machine it should be. We can also replace any of the individual components that make up the transmission system, such as the flywheels and gearing. For transmissions that are in truly poor condition, a transmission rebuild may be the best option. During the rebuilding process, we disassemble your transmission and remove all the worn or damaged parts. We then replace these parts with new ones and put the entire transmission system back together. This essentially provides your vehicle with a transmission that looks and functions like new. Usually fixing the clutch involves something simple, like tightening a cable. Other times the repair may be more complicated. Regardless of the work needed to repair your clutch, you can count on us to fix the issue in the most effective and affordable way possible. Contact us with any questions about repairing your transmission system. We are conveniently located to serve customers in Rockville, Damascus, Gaithersburg, Germantown, and North Potomac, MD.